WE’RE SEEING TRIPLE: Be ready for 3 levels of ball-spinning fun with the Trilaminar Three Levels Tower Of Tracks. MORE IS MORE: There’s no shortage of fun when it comes to Trilaminar Three Levels Tower Of Tracks! Expertly designed with 3 levels of tracks and 3 brightly colored balls, this cat track toy elevates playtime and interactive play with your cat. 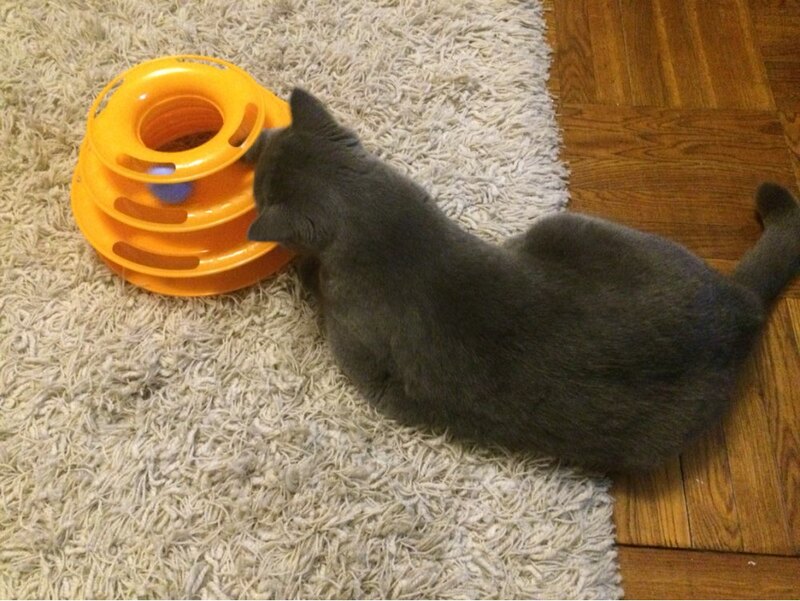 KEEP YOUR EYE ON THE BALL: Equipped with 3 differently designed balls, the Tower of Tracks stimulates you cat’s senses and excites their mind as they work to bat at every ball. 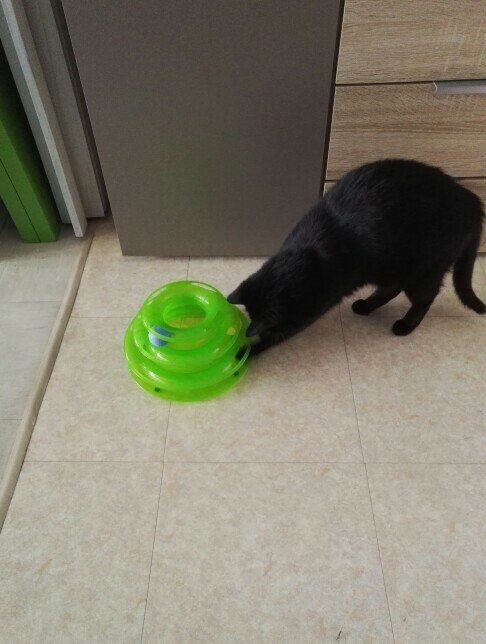 Unique to this cat track toy, the balls will not come loose during play and will securely spin across the tracks for repeated fun. SHARING IS CARING: With more levels for more fun, Trilaminar Three Levels Tower Of Tracks allows you to play with your cat and your cat to share in the fun with their furry friends. 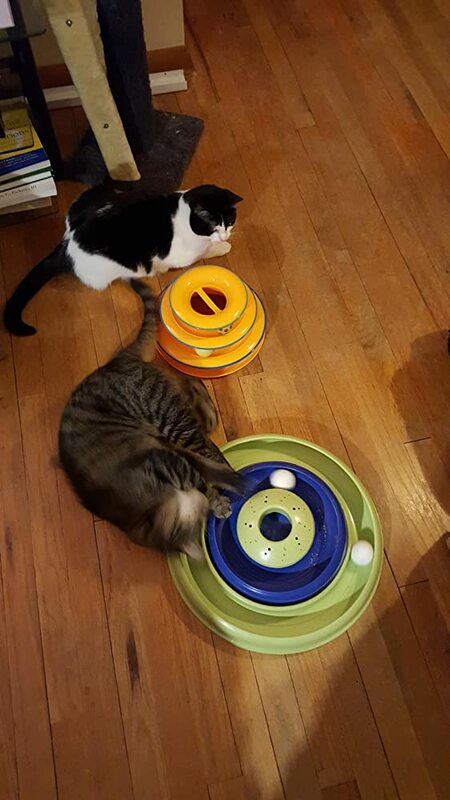 FOLLOWING THEIR INSTINCTS: Trilaminar Three Levels Tower Of Tracks is the purrfect way for your curious cat to get the mental and physical exercise they need to stay healthy and engaged from day to day while channeling their hunting instincts as they chase down the fast-moving balls. 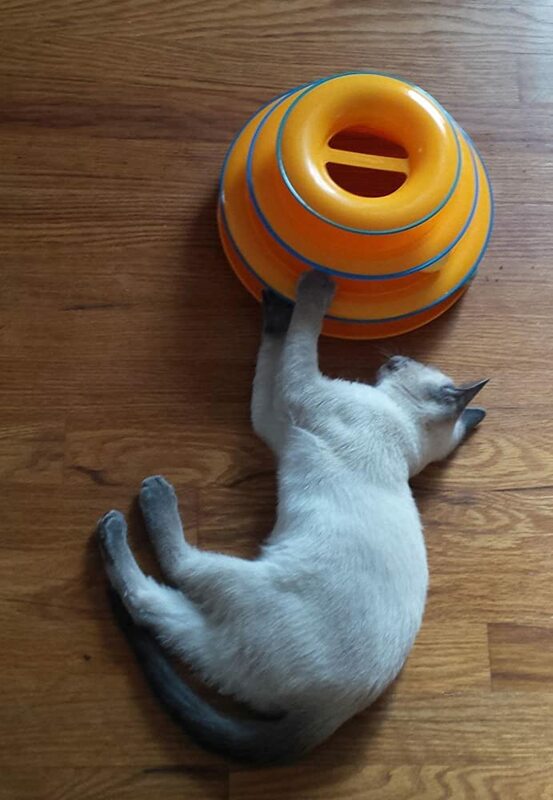 "This is by far the best investment in a toy that I have ever made for my cat. He loves interaction with it and did not like other ball chasers in the past. Balls glide around smoothly. Cats paws don't get stuck in the tracks. Balls are brightly colored and easy to see for my one eyed little boy who has depth perception issues with his vision. 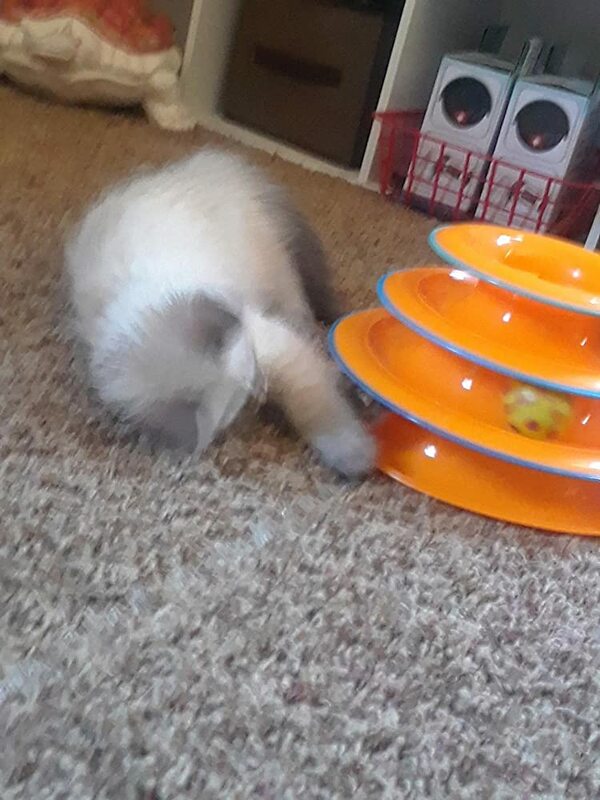 I hear him playing with it at least a few times a day, and I tell you the God's honest truth, as I'm writing this review, he just went over and laid next to it and swatted a ball, just this minute! Thank you Atom Deal"
"I have four cats that are always looking for something to get into or make noise with. After reading reviews I decided to order this toy for my kids. They have all taken turns at it & have only stopped playing with it long enough to eat. I know that's par for a new toy, but this one is different, and YES, it is the one with the bar to protect from little heads getting stuck! 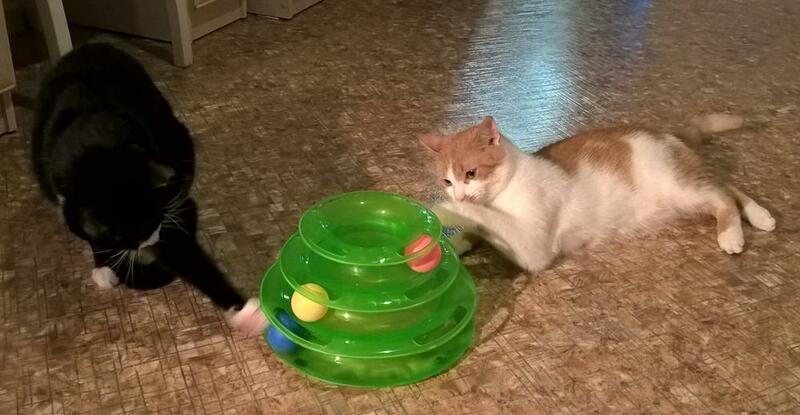 I bought it last Christmas for them & they still play with it daily. 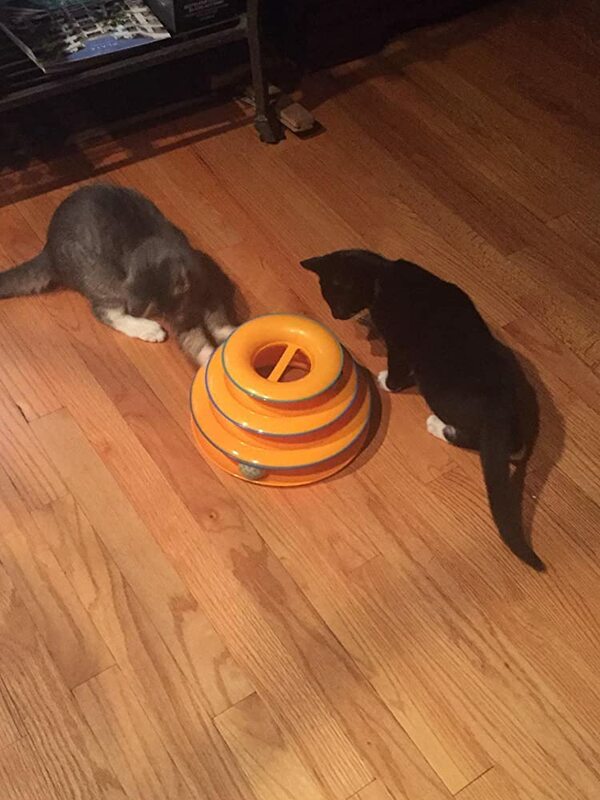 It keeps them occupied & entertained for hours, but as any cat owner knows, if your cat likes it, he likes it & if he doesn't, try a little catnip!"